While in the Middle Palaeolithic the tradition of hand axes produced directly from cores continues here and there, tools of formalised shapes, (mainly various side scrapers and hand points) predominate. 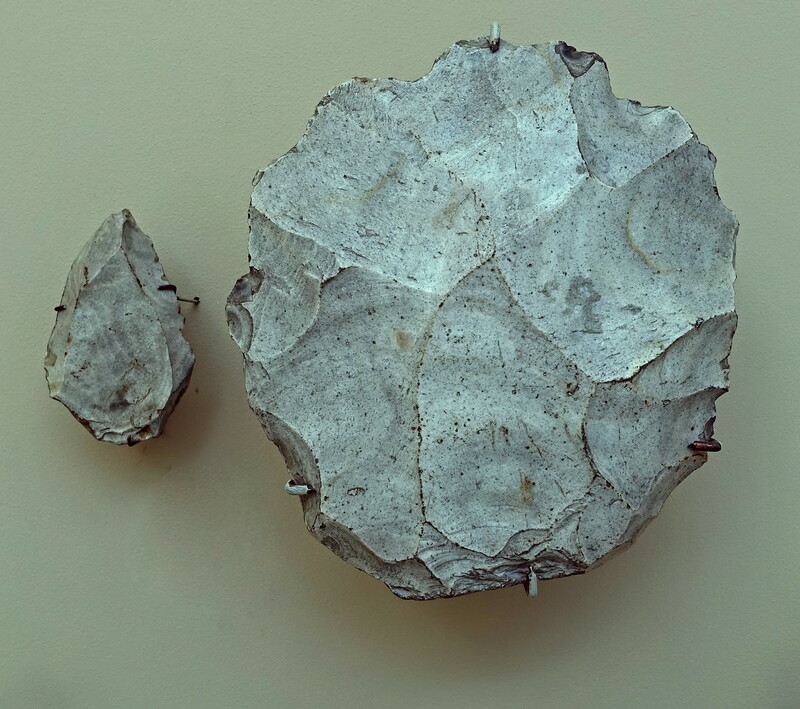 The simplest and the predominant method of obtaining these tools (eg in the Micoquian circa 70 000 BP and the immediately preceding Taubachian, circa 100 000 BP) was shown by the jagged edges of the zig-zagged margins of the disc-shaped and irregular cores left behind. 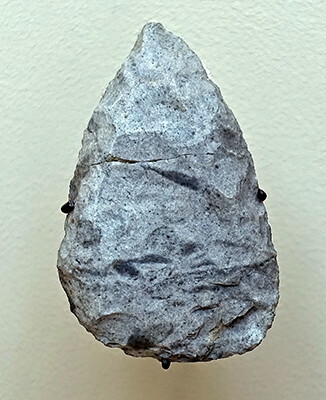 Knapping to obtain a more precise shape was achieved by the so-called Levallois technique., which required considerable precision and foresight. 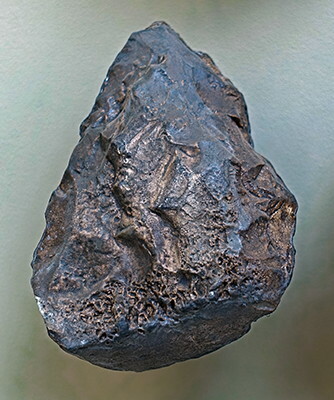 The earlier method involved a great deal of material consumption and an uncertainty of the result, whereby it was difficult to obtain a roughly predictable shape. The complicated but ultimately successful technique, however, disproves the skeptical view that the Neanderthals were incapable of conceptual thinking. Text above translated and adapted from signage in the Anthropos Pavilion/Moravian Museum, Brno, Czech Republic. 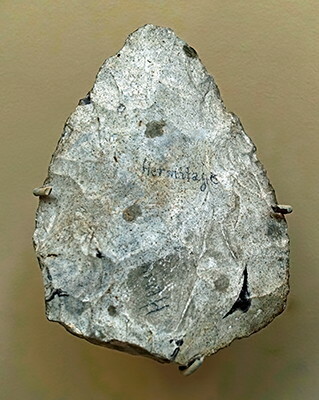 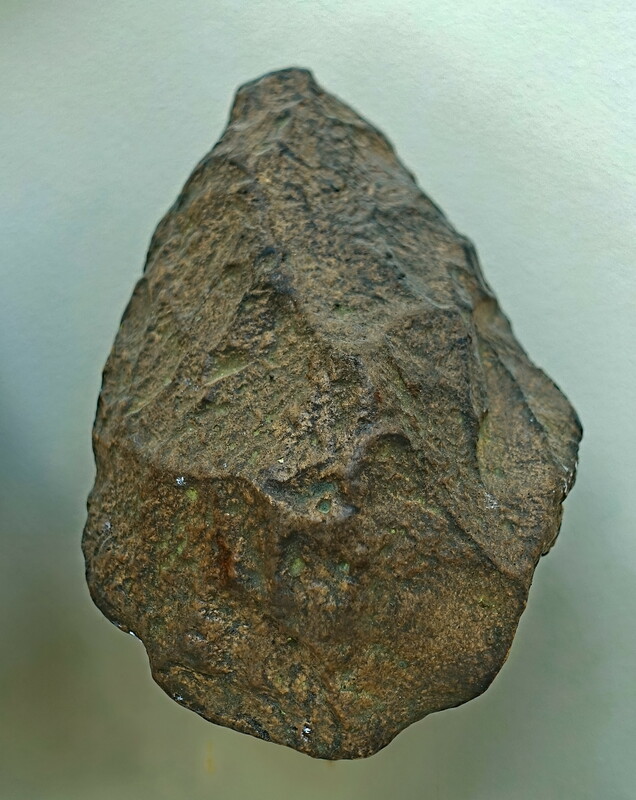 In Western Europe, small hand axes of triangular shape appeared with the Neanderthals. 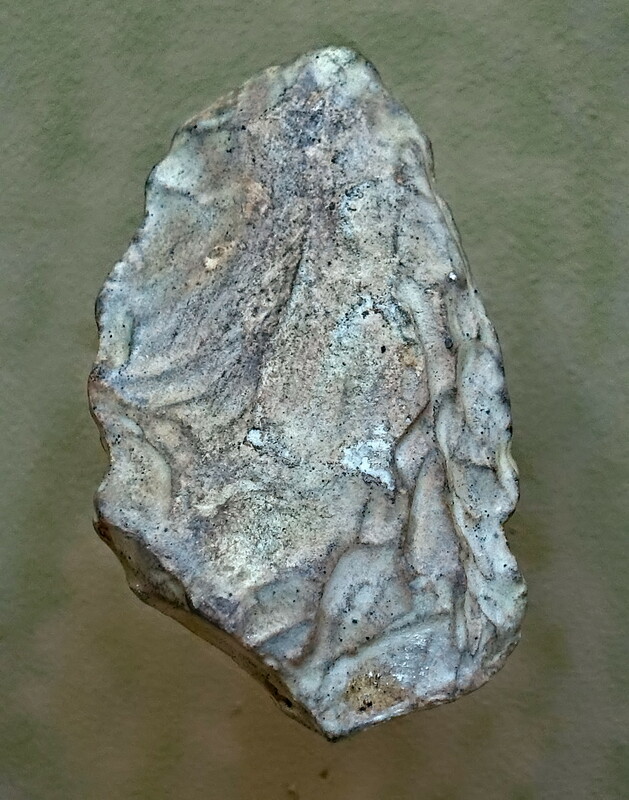 Hand axes were found at Kadova u Mor, Krumlov, Určic u Prostějov and Lubná u Kroměříže in the Czech Republic. Mousterian axes were designed to be held in the hand, they did not have handles. 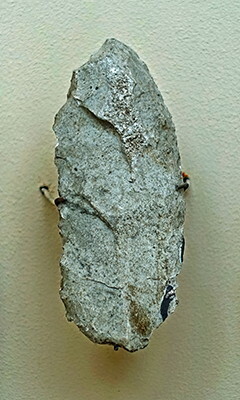 Side scrapers or racloirs, typical Mousterian tools, served mostly to scrape wood to shape and to smooth it, but the sharp edge was also suitable for skinning ( when a knife was needed, for example at the initial cut, and, later, the legs - Don ). Levallois core (or nucleus) and point. 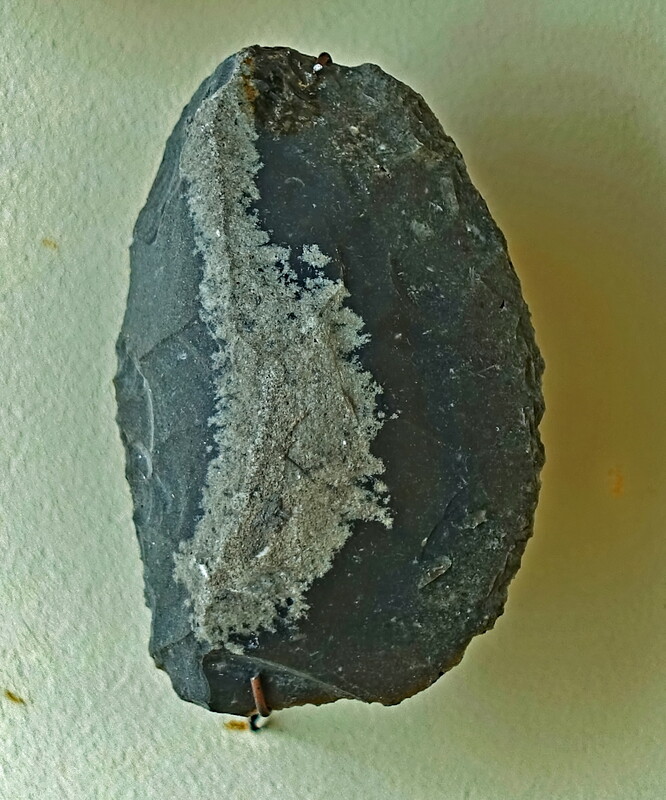 The Levallois process, from selection of the pebble to the final product. 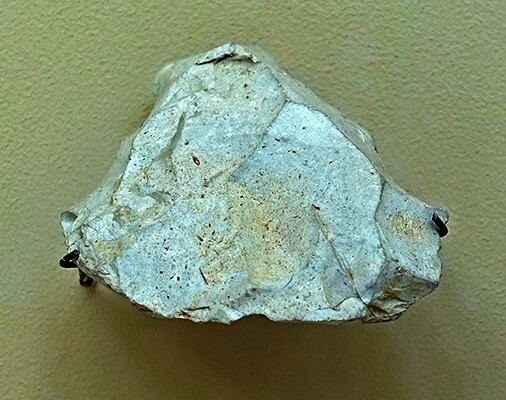 Tools with notches and teeth, of the type known as the Denticulate Mousterian. 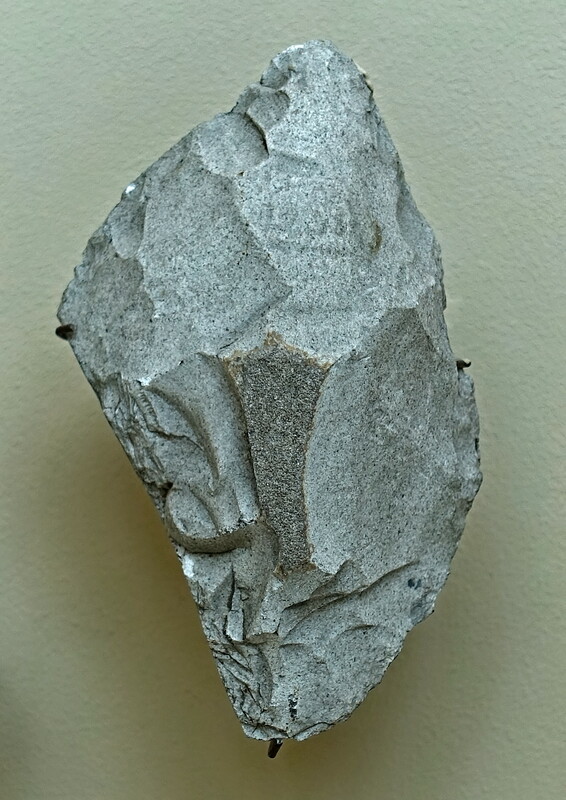 The Denticulate Mousterian as a separate Middle Palaeolithic facies was first described by F. Bordes in his 1953 classification of the Mousterian industries of southwestern France. 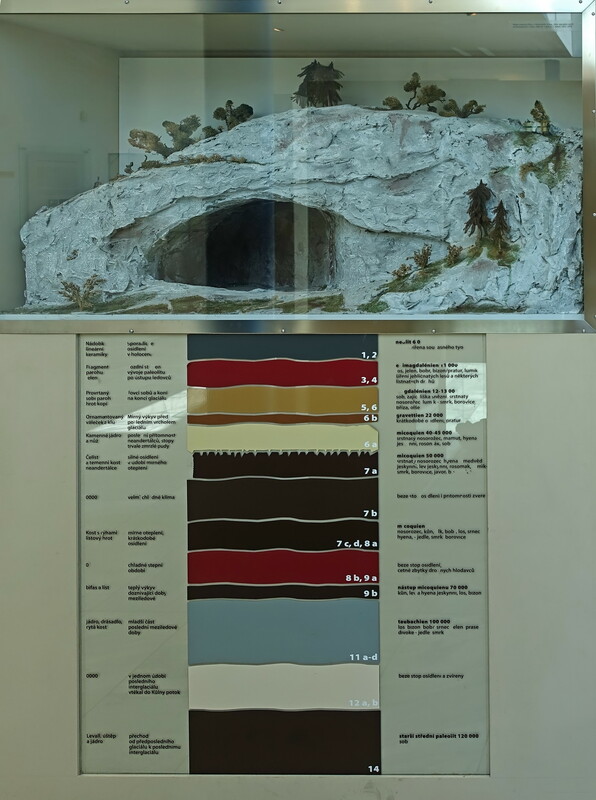 Model of Kůlna Cave in the Moravian Karst. 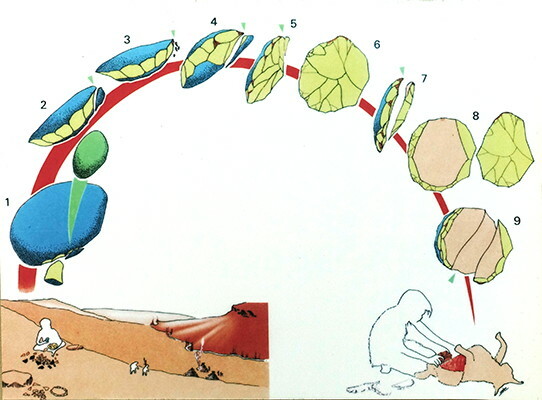 Below, the profile of archaeological layers revealed in the cave in 1961 - 1976. 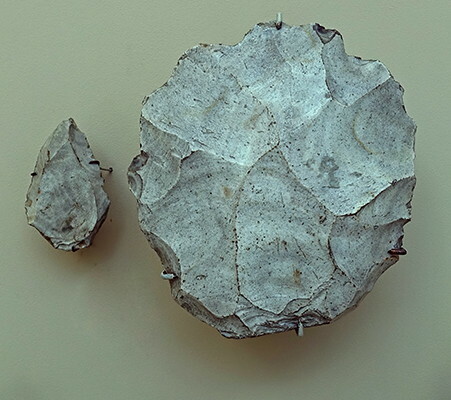 Layers and ages at Kůlna Cave. 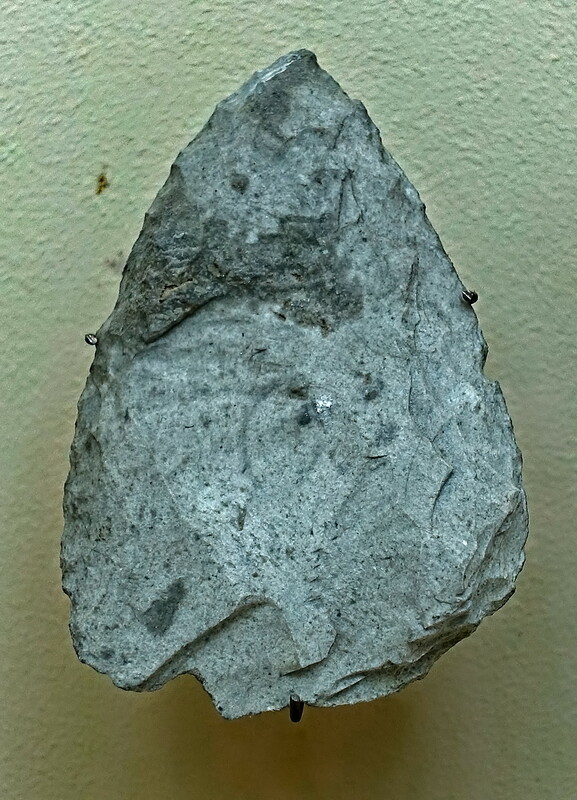 Kůlna Cave. 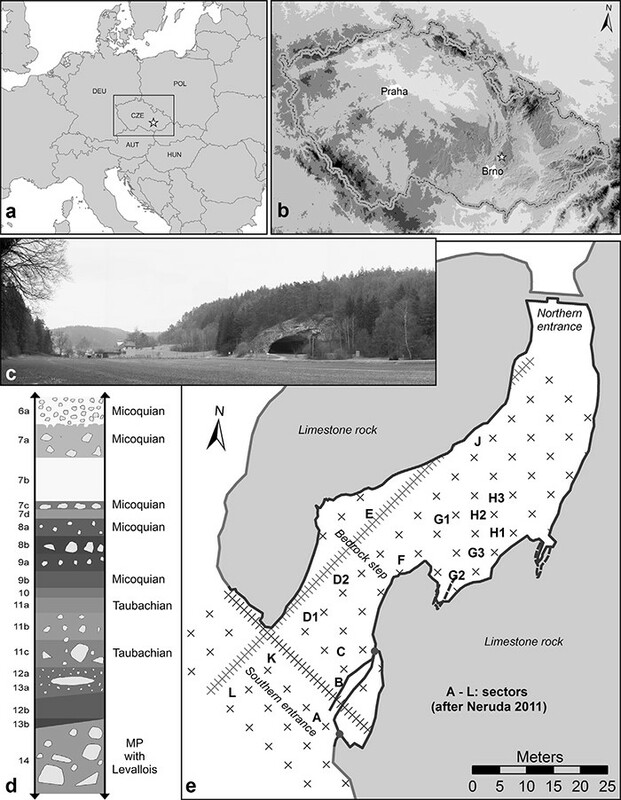 Location of the Kůlna Cave (a, b); southern entrance (c); stratigraphic schematic (d) of the Middle Palaeolithic sequence (modified after Valoch, 1988b) and ground plan of the cave (e) with indications of sectors (prepared by P. Neruda). 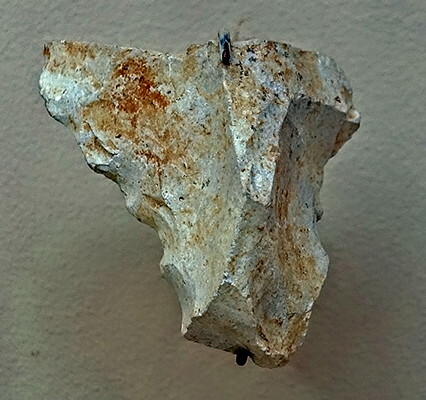 Neruda, P., Nerudová, Z., 2014: New radiocarbon data from Micoquian layers of the Kůlna Cave (Czech Republic), Quaternary International, 326–327. 157–167. 10.1016/j.quaint.2013.10.015.